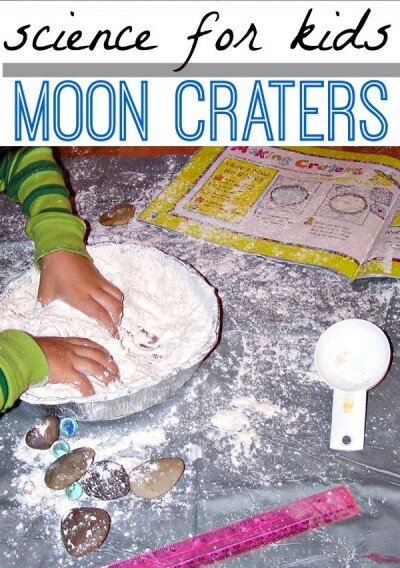 In the back of one of our moon books was a moon activity for making craters using flour! OK, let’s be honest. This activity was waaaay more about having fun making a mess than it was about learning how moon craters form. Kiddo really liked measuring to make sure there was one inch of flour. Drop rocks or marbles into the flour. When you remove them you will see craters (and handprints). The concept is that the larger the object the greater the amount of flour (ie. moon dust) that explodes into the air, thus the larger the crater. If you are afraid of mess, do this outside. Personally, I am not afraid of mess. I am afraid of my children making me crazy. My child was not making me crazy while he made this mess AND he was willing to help clean up with the promise of being able to do it again sometime. 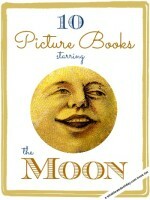 Bonus: Read one of our recommended moon picture books! Yep, we NEED to do this. I definitely agree wtih you that the mess is worth the trouble – and I figure my kids get lots of practice cleaning up messes.